Step 1. – empty the house of all belongings. The only things we left were appliances and built in cabinets. Even those we moved, cleaned inside and out, and decided whether they could be kept. Step 2. Rip out any building materials that have a hint of mold on them. Growing or standing. We rented a dumpster that would be taken out of town and burned. Step 3. Clean everything. We used many cleaners in our process. Some had no effect and I would call them useless. It took 10 months to get it to the point where I was not getting sick in the house anymore. This is by far the most time consuming step. It helps if you have become sensitive to mold. You can become the tester. That was what I did. “Nope. Still can’t live here… clean some more.” My poor husband. Those of you who know Mike, know he worked hard on making our house livable for me and the kids. He probably could have lived there through the entire process, but we couldn’t. 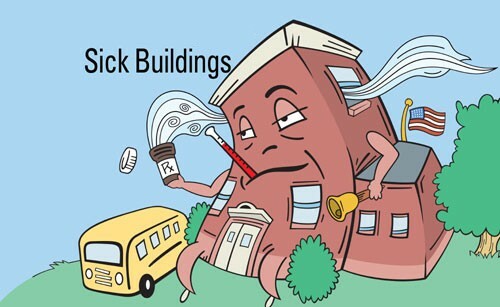 My son and I had gotten very sick in that house and from now on we have to be very careful we are not living in sick buildings. We did decide that a mixture of 50/50 ammonia to water was the best cleaning solution. Giving the best results after cleaning. I still use ammonia and water for cleaning… luckily for me, I don’t react to ammonia. Some do. Some become very sensitive after mold exposure or other environmental toxic exposures. They develop sever Multiple Chemical Sensitivity (MCS) and react to everything. Since the mold exposure, I have problems with lotions, hairspray, perfume, make-up, candles, deodorants and probably more… but I am fine with most plastics, cleaning products and most fabrics. The most helpful tools were the MaxBlaster ozone blaster, a RIGID shop HEPA vacuum, then later the Miele canister HEPA vacuum and a garden sprayer that we kept filled with our ammonia mixture. The ozone blaster has to be on a timer so it shuts off automatically. When no one is going to be in the house for a day or so… run ozone for 12 hours and let it sit for 4 or more hours after to let the O3 turn back to O2. It kills mold, bacteria and viruses… and believe me if you have mold, you probably have bacteria and viruses too! When they say ‘sick building’, that’s what you have. Ozone blast, clean everything with ammonia, HEPA vacuum, repeat. When the house starts to get cleaner… I was able to pinpoint trouble spots in the home. Concentrate on cleaning that area until you no longer react to it. Sometimes I would get sick from cleaning and I had to take time off… or wait until my husband did it. When we were close to done with the house, I was still reacting to the refrigerator, the stove, the microwave, the dishwasher… some we cleaned, some we got rid of… some we replaced. We had to decide based on how easy they were to get into and clean. Step 4. Put it back together using the most environmentally friendly products we could afford. Vermont Naturals Polyurethane is my best friend. If something wood that I LOVE is still making me sick… I have been putting Vermont Naturals on it… and it seems to be working for me. Some things are just too emotional to get rid of… like my hope chest, and my grandfather’s cedar bedroom furniture… Not all wood needs a coat of poly… but some does. This is how I am dealing, not sure it is ‘approved’ for mold encapsulation on wood, but it works for me. Only bring one item into the house at a time so that you can tell what (if anything) is making you sick. I bought three new mattresses and had to take one donated mattress. I had to cover that with mattress covers but we can live with it until we can afford to buy a new one. Thankfully, I am not reacting to plastics or fabrics and I have been able to buy new bedding and couches without being overly careful. When we went furniture shopping, I was super in tune to whether the place we were shopping for furniture made me react. We spent 4 hours in Huck Finn’s Warehouse in Albany, NY… and I felt sure that they didn’t have any mold. We bought a floor model… and I sniffed it. INHALE BIG. I have to live with this furniture! CAN I? We started moving things into the house on February 1st. We didn’t move in (sleep there) until February 10th, 2012. It’s March 2nd and I am still feeling fine in the house. Everything in the house is new. We have 2 storage units full of stuff that I cannot go near, nor will I allow it in my house. My husband wore full hazmat suit when he was ripping out moldy building materials. The mask he used was a Moldex 9000 and we got the hazmat suits from the same company. We used plastic to close off rooms once they were cleaned and we worked our way through the house, cleaning methodically. 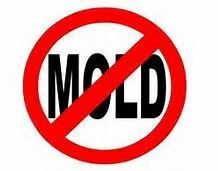 If there were an isolated room with mold, that room should be plastic-ed off from the rest of the house so as not to cross contaminate. The guidelines we used for mold remediation were the ones that were written for asbestos clean up. Although mold is not regulated like asbestos is… it is quite dangerous and should be treated as the bio-hazard that it is. In July/August of 2014, I started to get sick in my home again. No new leaks, just not feeling well and not getting any better so I did HERTSMI and it came out to be very high. 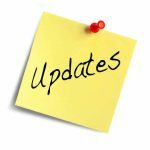 I found and purchased a machine that eradicates mold and mycotoxins and I am feeling good in my home again – here is a blog I wrote with the before and after test results. If you decide to purchase a Hi Tech Air Reactor, there is a 30 Day money back guarantee. The reason the company can offer this guarantee is because it works! If you have any questions, or you need help with your own toxic home or building, email me through this contact page or through the “Free 1 on 1 Consultation” tab in the lower right corner of this website. If what we went through can help you in any way, I want to make your journey through mold easier. This entry was posted in Air Quality, Health on March 29, 2017 by Heather Plude. Even when I am not feeling my best, I try to stay positive. As someone who is sensitive to the environment… it’s not always easy. We are sensitive to toxins in the air. If I test a building I got sick in, it will be toxic. If I go back to that building again without someone doing something to improve the air and reduce the toxins people breathe inside that building, I will get sick every time I go to that building. I am the canary in the coalmine. I get sick first. Others are getting sick. They just don’t feel it the same way I do. Have you ever gone home from a place and had an “unexplainable” headache? Or have you “caught” the flu. There are places I want to go… but they are toxic to me. An outing to the wrong building can turn into a week of recovery. I’m working on my health and recovery. Focus on the good. Stay positive. Strive for clean air everywhere. 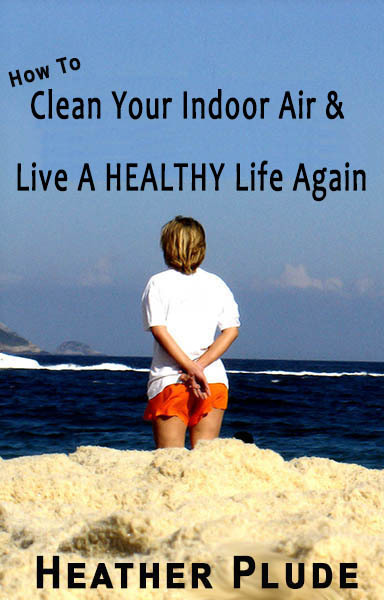 I am grateful that many people are learning that indoor air quality matters. I help people get clean air. For real. Not filtered air. Clean air. This entry was posted in Air Quality and tagged clean air, environment, positive, sick buildings, symptoms flare on March 25, 2017 by Heather Plude.